I use my iPhone X for all my daily stuff but these LCDs have got to be doing some damage to your eyes overtime… Long term reading should really be done on an e-ink device since it doesn’t require a backlight and all that. 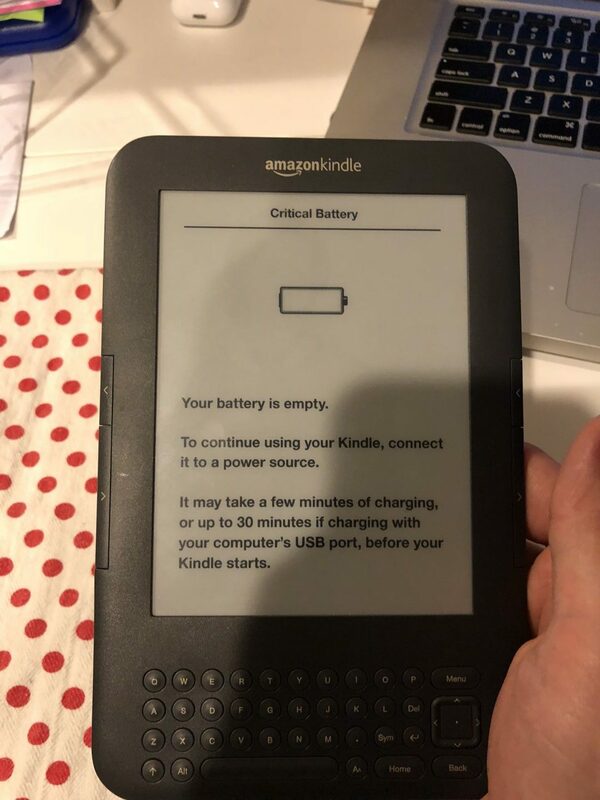 I purchased a 3rd Generation Kindle almost 7 years ago and can not purchase on Amazon new (this thing is old). 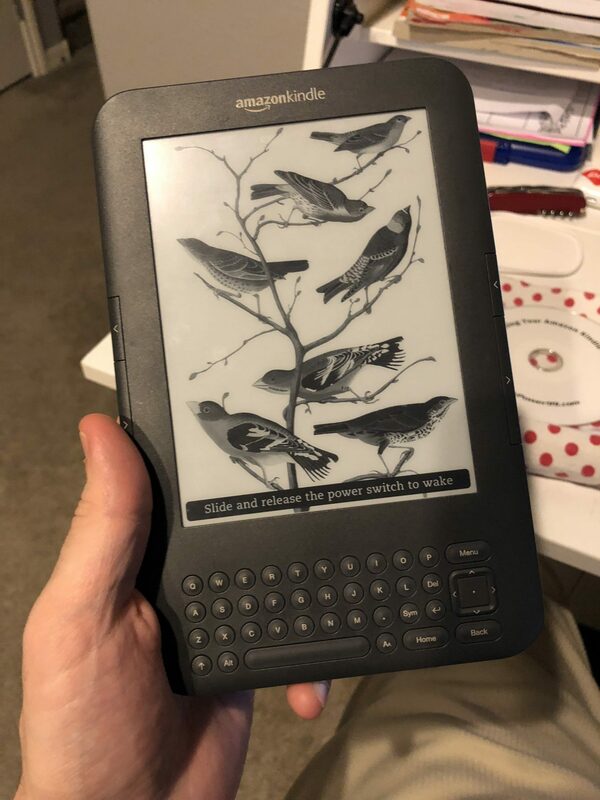 I still wanted to resurrect this reader or last option would be to save up for another new one again since none of the newer models have the keyboard which I enjoy for more nostalgic reasons then anything. It’s crazy how far technology has progressed and the new e-readers do seem fancy and affordable. There is something about the appeal of a hardware keyboard that kept me seeking replacement options. Since then, my initial research turns up empty on another following model with a keyboard so that keeps me on the 3rd gen. 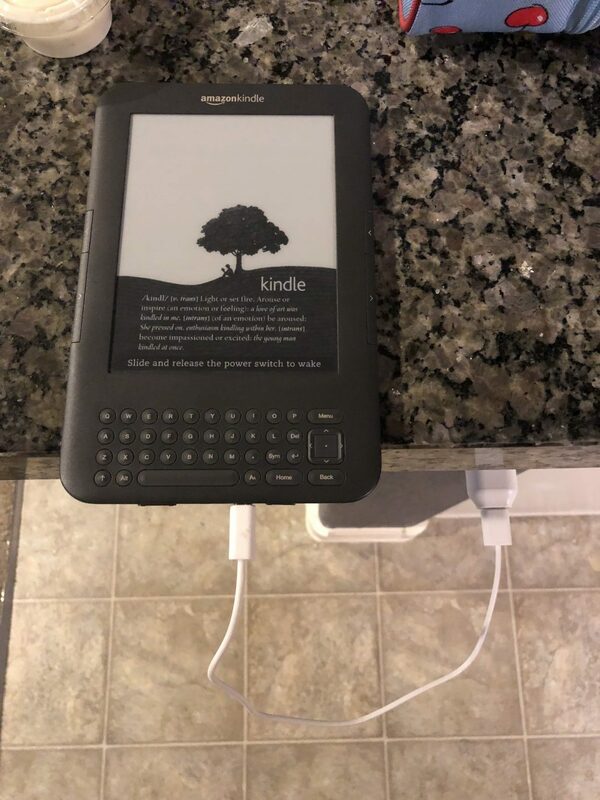 It has been coined the “Kindle Keyboard” which you can pick up new ($60-$80) & used ($20-$40) on ebay. 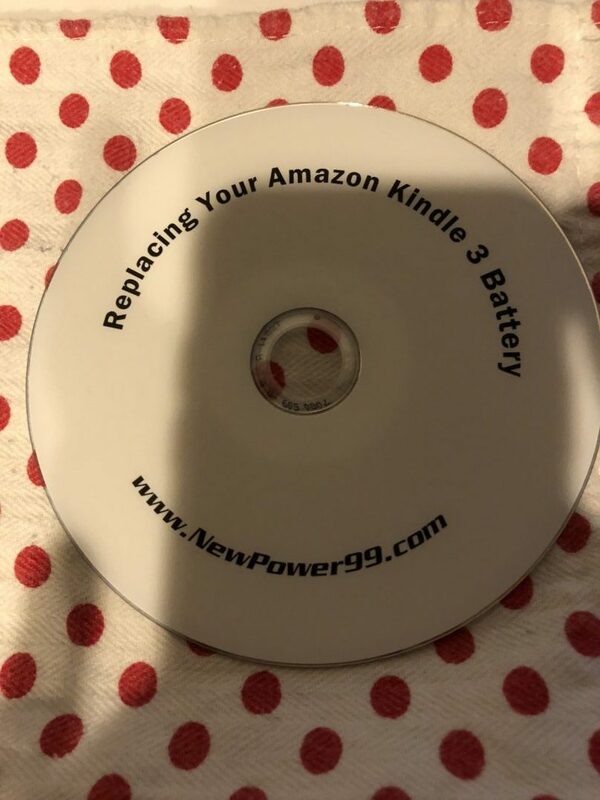 I called Amazon like any loyal customer and was presented a “15% off coupon for a new kindle device” which sounds lame since a new device is expensive and none of the newer models have a hardware keyboard. Thinking a bit more about it I just said screw it and ended up buying this kit from New Power 99 for $28. It really did do the job but I think if I had supplies laying around where I really only needed the replacement battery. 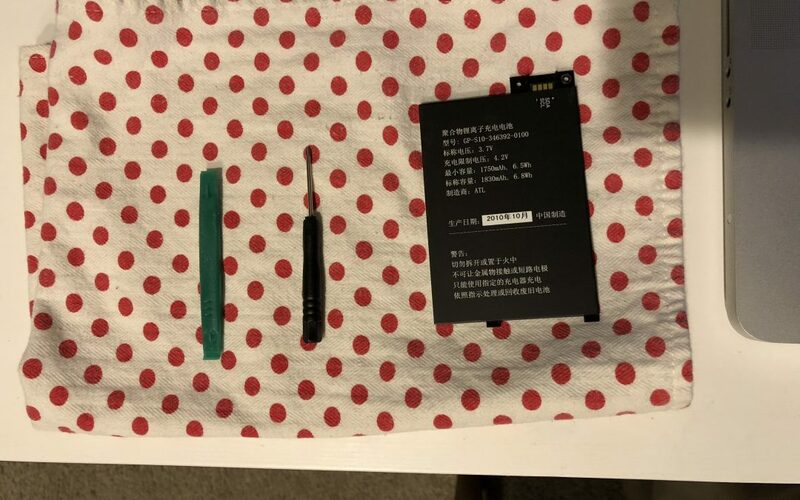 If you already have a small screwdriver and a pry tool then you should be able to do this repair job just by buying a new battery. 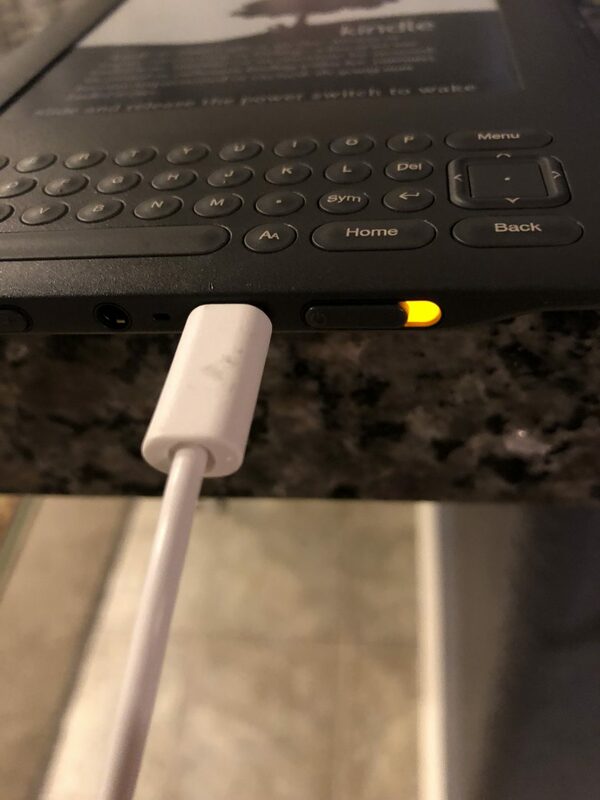 Symtom I had was charging cable lit the orange light but never charged the battery. Came with a disk that had the video below. After the replacement I charged it and boom it was alive! Now I’ve got a brand new “extended life Kindle Keyboard”! The device itself is cool but you can tell it is a bit dated. There is an update so maybe the interface has changed but it’s funny how the main menu has a restore factory settings button right in the main menu. Its a pretty “stupid” device compared to it’s newer counterparts for sure but I have a feeling I can squeze another 7 years out this thing if I really wanted to. Leave a comment or let me know if I’m dumb for fixing it. Also here is the video below on how to perform the easy repair. An iPhone repair takes alittle more pateince than this no brainer. Hi, thanks for the video and walkthrough on how to change the battery. allow me to share as well the other way around. I found a solution for this error here. Just wanted to know if you have encountered any issues since you have changed the battery? Also if you completely drain it again does that screen still come on? I don’t think you’re dumb I have an old Kindle keyboard that I have literally never used. I have tons of books loaded on it and now I’m commuting couple hours each way per day via the ferry in Seattle. It’s a great place to read. So I pulled it out and found out the batteries more or less dad and less I keep it plugged in permanently while I’m reading it. Your post was very helpful and encouraged me. Glad to hear Rebecca. Love turning old into new again.